Despite being in the posh German 4x4 market for longer than all its German peers, Mercedes-Benz has been lagging behind the forefront of the segment for some time. With the new GLE, the company hopes to change all that. 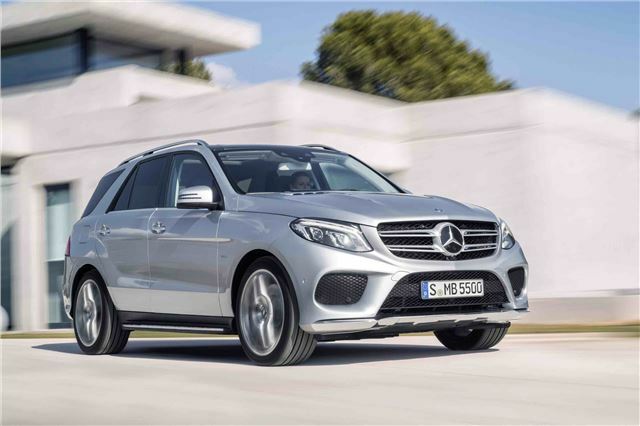 With a brand new name that reflects a rationalisaton of the model range, the Mercedes-Benz GLE is more luxurious, more stylish, and more imposing than ever before. But with a brand new Audi Q7 on the way and the BMW's X5 still the default choice, will it make an impact? Click through the gallery below to find out everything you need to know about the new Mercedes-Benz GLE. Unveiled at the New York motor show, a few weeks after the GLE Coupé that it forms the basis of, the full-size GLE will come to UK showrooms in September. There's no pricing yet, but expect class parity (roughly comparable to similarly powered versions of the BMW X5 and Audi Q7), meaning a starting price of around £50,000 for the heartland diesel version.